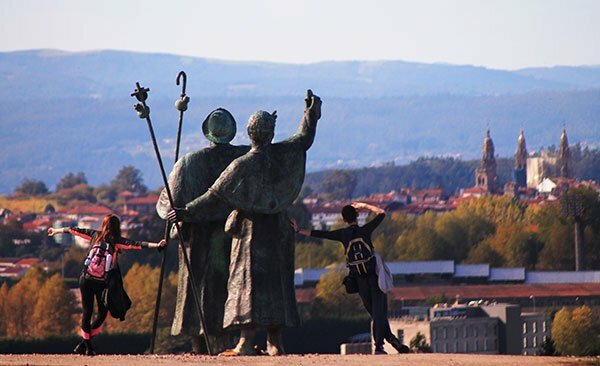 Home / Blog / Camino Portugues / 5 walking adventures to beat the winter blues! 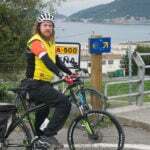 Beat the winter blues and head on a fantastic walking holiday with CaminoWays.com, the walking and cycling holiday specialists. Discover beautiful scenery, indulge in delicious food and become absorbed in the fascinating history and culture of these amazing winter walking destinations. From authentic Camino de Santiago paths to picturesque island trails, CaminoWays.com have the perfect walking escape to suit you. Starting in charming Seville, home to a number of UNESCO World Heritage Sites, the Via de la Plata Camino de Santiago route takes you through the olive and orange groves of rural Spain, the ancient Roman city of Italica and the National Park of Norte de Sevilla before finishing up in Monesterio, famous for its Ibérico ham. 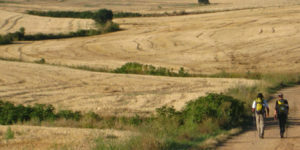 Spend six nights on a walking holiday on the Via de la Plata from Seville to Monesterio from only €555pps. Bicigrino is the title given to pilgrims cycling the Camino de Santiago and, on this winter getaway, you can claim that title for yourself as you cycle from Lisbon to Porto, taking in beautiful villages and ancient castles, monasteries and ancient Roman roads along the way. 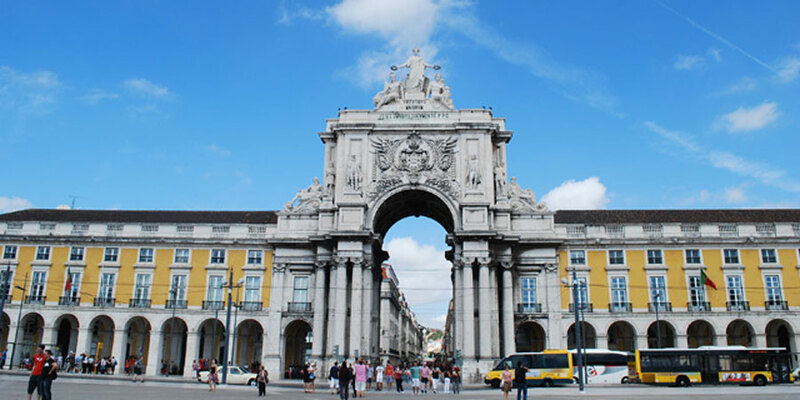 Lisbon has the warmest winters of all the major cities in Europe. 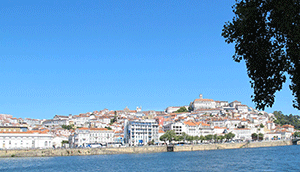 Along the way you will pass though Coimbra where the UNESCO listed university is one of the oldest in Europe. Finally what better way to end your tour than with some delicious food and a glass or two of the Port wine for which the city of Port is world famous. Spend eight nights on a cycling holiday on Portugal’s Camino from Lisbon to Porto from only €795pps. Spend six nights on a walking holiday in Tuscany section 14 of the Via Francigena from Lucca to Siena from only €668pps.Tuscany is renowned for its white truffles which are also known as the ‘diamonds of the kitchen’. San Miniato sits on section 14 of the Via Francigena and November sees its annual White Truffle Festival. 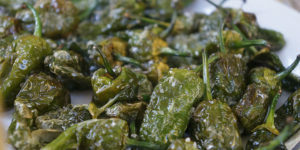 If you are a foodie then this walk in Tuscany is the ideal one for you. The aroma of truffles will fill the air of the town square as you sample all sorts of truffle related products, from cheese, to pâté, to olive oil, to honey. There will be plenty here to tantalise your taste buds and the walk itself is considered to be one of the most beautiful on the Via Francigena. Spend six nights on a walking holiday on the Via Francigena from Lucca to Siena from only €668pps. La Gomera is the second smallest of the Canary Islands and easily one of the most beautiful. This walk will take you through the island’s small hamlets, banana plantations and fairytale forest, Bosque Encantado in Garajonay National Park. While on this walk, you should also keep your ears open for the Silbo, a whistling language which can be heard up to two miles away. 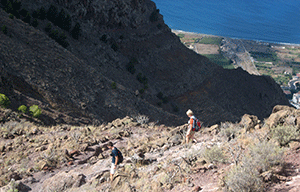 Spend seven nights on a walking holiday in La Gomera from only €689pps. Morocco is the perfect winter destination thanks to its warm temperatures which rarely fall below 18 degrees. Couple this great weather with the exciting sounds and smells of enchanting Marrakech and the beautiful scenery of the Atlas Mountains and you have the ingredients for a walking holiday of a life time. Marrakech is a true sensory experience as the sights, sounds, smells and tastes of the markets will take your breath away. In the square of Jemaa el-Fnaa you will see acrobats, mystics, snake charmers and monkey trainers and in the famous souks of the city you can buy anything from bejewelled sandals to Berber carpets to every herb and spice under the sun. The walk will take you along the foothills of the Atlas Mountains and through peaceful hamlets, cooling forests and stunning valleys. Spend six nights on a walking holiday in Morocco from only €490pps. Special: Get 10% off if you book now for 2015. Prices quoted for low season (November – March). Prices includes: Standard packages include half-board accommodation, luggage transfers from hotel to hotel and holiday pack with practical information. Prices do not include: Flights, airport transfers or insurance. Optional: Ask our team for hotel upgrades, bike rental, additional nights and/or airport transfers. Start planning your walking adventures, contact the CaminoWays.com travel specialists. Hi Pam, we don’t organise flights but we can arrange accommodation and luggage transfers. Let us know which route you’d like more information about so we can prepare a more detailed email for you. Kind regards. I’m not able organise a walk at the moment. You send me regular updates…. Are you able to organise flights or give information about them?